The Pythons bounced back from their disappointing loss in the season opener by defeating UEL 26 – 8 in their second game, to break a 10 game losing streak stretching back to the beginning of last season. The Pythons dominated the first half, scoring on their second drive via an Ethan Brown touchdown, with the extra point blocked. The Pythons scored again on their 4th and 6th drives of the first half via Simeon Kakpovi and Phil Knott touchdowns. The defence shut UEL out in the first half, ending one UEL drive via interception and the other five by forcing them to punt, allowing the Pythons to go into halftime up 20 – 0. In the second half the Pythons came out strong scoring on their second drive again through Phil Knott. However, the subsequent offensive drives all ended in fumbles recovered by UEL and the Pythons did not score again. 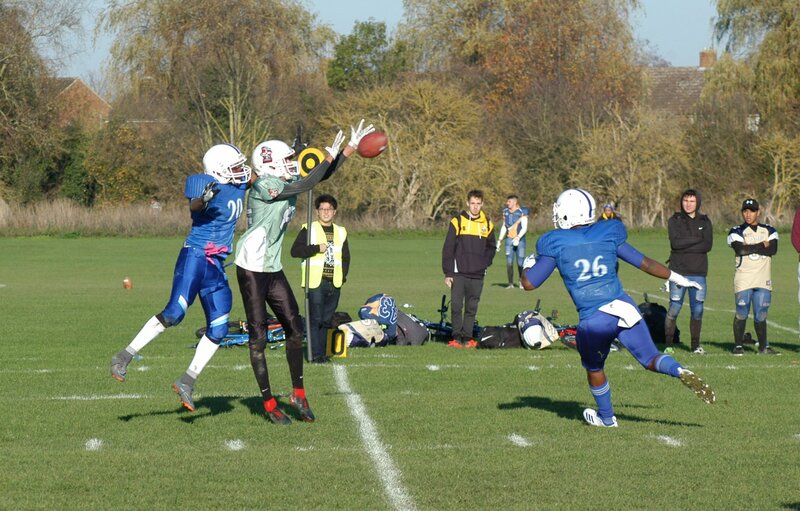 The defence stood strong through the second quarter, but UEL were gifted the ball past halfway early in the fourth and put it to good use, scoring on a 40 yard passing play, and converting the two point try. They were unable to replicate this success in subsequent drives though, and these remained their only points scored. This game was the Pythons first win in 11 games, and while the scoreline was fairly one-sided the Pythons definitely left points on the field, fumbling too often. Better tackling would also have prevented the UEL score. However, this should be cause for excitement among the team, that they can win while still having room for improvement. 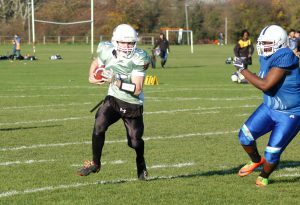 Copyright Cambridge University Pythons American Football Club. All Rights Reserved.